Over the years, we have witnessed the rapid rise of the app based cabs and the airport transfers. But what really has been the sole reason for this rapid stride? Well the obvious answer the question is the convenience and the added safety that these cabs provide. 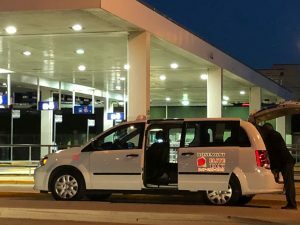 But another question that throngs the minds of several is, how shall I know about the best Vernon Hills taxi provider in town? Well, we understand your concern. In this particular write up we would discuss in detail about the tips that will make your task simple. Word of mouth referral- The first and foremost thing that we need to keep in mind is, ask your friends and relatives about their opinion. It is quite evident that they have availed service in the past. They are best guide to let you know which Cab Company to hire and which cab company you need to bar. Well off course their reference is sure to work wonders for you. Checking out the website- In the next instance, you can check out the website on Winnetka taxi. Since we are living in the world of technological progression it is quite evident that we are aware of using the internet. Through the internet or through the website you can gather as much information as you can. Be it the exact history of the company or some other details like exact service, website can help you out. At the same time you can get contact information and have check at the social pages. Checking out the reviews- In the final stages, you can go ahead and check out the reviews that are posted in Google and other directories. A positive review is sure to motivate you and on the other hand, a negative review is sure to bar you from availing the service. Over the years this particular organization has lived up the expectation of all and sundry. They have catered the service accordingly and have made quite an impact as an airport transfer service provider.